The BI Survey 17 is based on findings from the world’s largest and most comprehensive survey of business intelligence end-users. The Survey was conducted by BARC from March 2017 to February 2017. Altogether, 3,066 respondents worldwide answered a series of questions about their BI software. The survey offers a comparison of 42 leading business intelligence tools across 29 different key performance indicators including business value, customer satisfaction, customer experience and competitiveness. For more information, go to www.bi-survey.com. Informer was “Top Ranked” as #1 in six separate categories this year, including Self service, Embedded BI, and Ease of use. 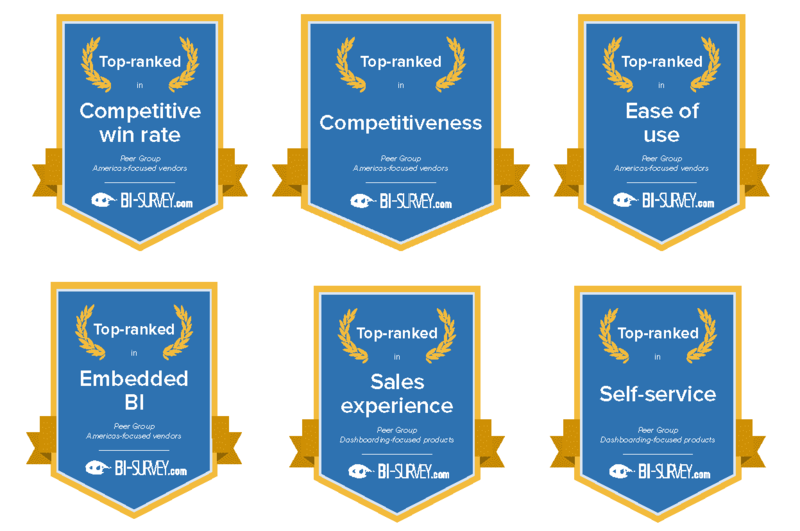 The Survey includes detailed survey results and analysis of Informer ratings in areas including user and case demographics and category rankings compared to other participating vendors in the BI space. Across all its three peer groups, Entrinsik Informer is ranked number one for ‘Embedded BI’ and ‘Competitive Win Rate’. Compared with other dashboarding-focused products, Informer is ranked number one for ‘Self Service’, ‘Sales Experience,’ and ‘Competitiveness’, in addition to seven other leader positions. Informer also achieved a top rank for ‘Ease of Use’ in the ‘Self-Service Reporting Focused Products’ and ‘Americas Focused Vendors’ Peer Groups. In those two peer groups, Informer also attained several other top ranks and leader placements. This document contains a selection of the headline findings for Entrinsik. It does not show all the KPI results. 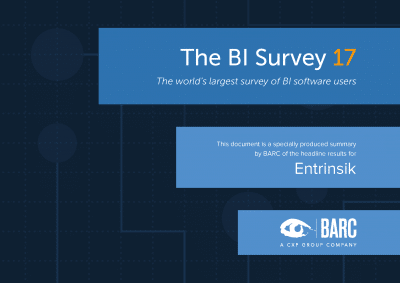 Access the Entrinsik BARC BI Survey 17 summary report for free! Simply fill out the form below to download.